Our business is to advertise your real estate or house for sale by owner (FSBO) to as many potential buyers as possible. With 80% of buyers now starting their real estate search on the Internet, we�ll save you time and money by helping you sell your house or other form of real estate quickly. We provide information and numerous tools to Sell Your House by owner quickly without paying a commission. Home buyers get more home for less money by buying directly from the property owner. Thousands of FSBO (Homes For Sale by Owner) listings are located through the website. Search Homes for Sale by Owner. Single and multi-family homes, farms/ranches, commercial real estate and land. With our listings of Houses for Sale by Owner, your property will be professionally showcased to millions of buyers around the world. With unlimited access to our Home Selling Guide to help you through the selling process. Our FSBO site sells homes. We have approximately 100 testimonials from people who listed their homes on Virtual FSBO.com. View our Testimonial page for a list of homeowners who were pleased with their experience with Virtual FSBO and took the time to express their appreciation. We include names and property listing numbers. 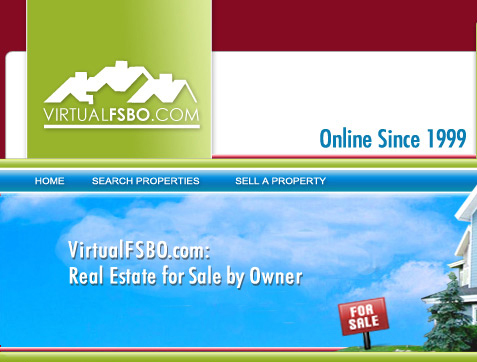 Virtual FSBO has thousands of potential buyers searching our properties daily. Hundreds of online classifieds are in our Homes Wanted section. List your property now, you may have the perfect property for one of those buyers. Note: If your listing matches one of the cities in the Homes Wanted classifieds, that person will be emailed automatically to advise them of the new listing! Already listed on another website? Maximize your house's exposure with an additional listing on VirtualFSBO.com. FSBO eliminates your need for a realtor, saving you thousands of commissions. We consistently promote our properties on all of the major Search Engines for maximum exposure. Promoting your house for sale by owner to buyers is the key to your success and we do it right! If you're looking to list your property online, you've come to the right place. 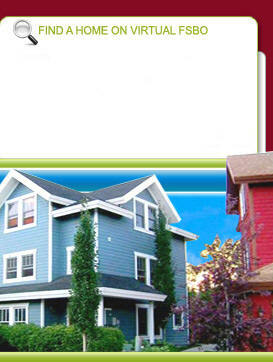 We sell houses and other properties throughout the U.S., Canada, and various countries worldwide. Check properties in your location on the search guide below. We're ahead of the times when it comes to FSBO marketing information. List your house for sale and let us bring the buyers to you! With our unique Listing Alert System, interested buyers are contacted the second you list your house with VirtualFSBO.com. Need to sell your home quickly? Enlist the help of approximately 1 million real estate professionals who use the MLS to locate properties both locally and nationally. All without paying a full commission! See details under Flat Fee MLS. Learn the ins and outs of selling real estate for sale by owner with our free Home Selling Guide.